A favorite of gun control advocates and progressives, Tallahassee Mayor Andrew Gillum is the Sunshine State’s Democratic contender for the next governor of Florida. Gillum, 39, this week unexpectedly beat out a field of five other candidates in Florida’s Democratic primary to land him in a November face-off with Republican U.S. Rep.Ron DeSantis for the seat left open by the GOP’s term-limited Gov. Rick Scott. Backed by progressive pacesetter Bernie Sanders and embraced by urban voters in the state’s largest cities, Gillium is a fan not only of a $15 minimum wage and a Medicare for All policy but also of strengthening gun controls. The Democrat cites an extensive policy on gun safety as part of his platform, including a ban on “assault weapons” and high capacity magazines, implementing universal background checks, prohibiting armor-piercing bullets and taking guns from those on secretive government watch lists, among other concepts. In 2017, Gillium took large credit for a Florida court upholding Tallahassee’s decades-old city ordinances banning the use of guns in public parks, penning a statement entitled We Beat the NRA and You Can, Too, although the aforementioned gun organization was not a party to the legal challenge. While on the campaign trail for the governor’s mansion this year, Gillium used his anti-gun creds to hit out at other Democrats in the same race and took advantage of photo opportunities with gun control advocates. As he continued to speak about his platform, he slammed Republicans, the gun lobby and the NRA while playing up his involvement in supporting Marjory Stoneman Douglas student activists. 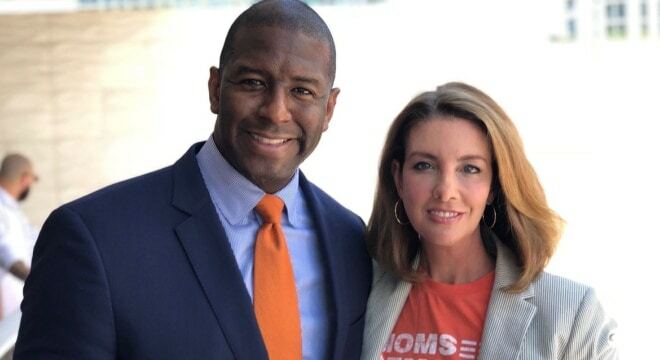 Last month, Gillum, who would be the first African-American governor of the state if elected, pointed to a provision in Florida law that he said would allow Scott to suspend the state’s sometimes-controversial Stand Your Ground protections on justifiable homicide. “It is particularly an emergency in communities of color where we know that multiple studies have shown that homicide rate is going up as a result of these laws,” he said. He followed up the call a week later with a sit-in at Scott’s Tallahassee office with religious leaders to protest the fatal shooting of Markeis McGlockton. However, all may not be a walk in the park for the candidate during the next few months. Despite the momentum gained from his key primary win, Gillum faces the specter of a persistent FBI corruption probe into Tallahassee city politics. Further, his Trump-endorsed Republican opponent pulled down many more votes in the recent primary although Desantis has been mired in controversy over his subsequent remarks. Voters head to the polls in Florida on Nov. 6.